Monday, December 4 (7:30-8:30pm): People’s Law School presents Probating a Will at Burnaby Public Library – McGill Branch. From Courthouse Libraries BC & PovNet. This webinar is aimed at legal advocates. Effective communication with a client can be difficult to achieve under ideal circumstances, let alone if your client has fetal alcohol spectrum disorder. Individuals affected by FASD are at a higher risk of being involved with the law and the court system. Understanding the communication difficulties common among individuals with FASD can go a long way towards trying to minimize negative and repeated encounters with the legal system. Our presenters, Robyn Matthews and Myles Himmelreich, will be providing some insight on how FASD can affect communication with a client and practical tips for effective communication with clients with FASD. Robyn Matthews is the Family and Community Support Coordinator with the Asante Centre and Myles Himmelreich is a well-known motivational speaker on FASD, having presented nationally and internationally for many years, sharing his experiences in living with FASD. This webinar is made possible with the financial support of PovNet and is intended to assist legal advocates and lawyers working in the area of poverty law. While we invite advocates and lawyers from all areas of practice to participate in this webinar, we would appreciate it if you can indicate if you practice in the area of poverty law to assist us in funding more webinars like this in the future. Register online at the link above. Tuesday, December 5 (5:30-8pm): Community Legal Assistance Society (“CLAS”)and the United Nations Association in Canada, Vancouver Branch (“UNAC”) present the 69th Anniversary of the Universal Declaration of Human Rights, 29th Anniversary Presentation of the Renate Shearer Award, at the Law Courts Inn, 4th Floor, 800 Smithe Street, Vancouver. Seating is limited. Register important information and documents and make them available to the people and institutions who need to know. For example, register a Representation Agreement, Enduring Power of Attorney and other details related to personal or estate planning. Be prepared in case of a natural disaster such as a wildfire, flood or earthquake — register documents you can use during the disaster and to re-build your life afterwards. Register online at the link above. 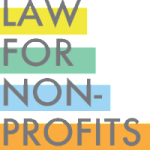 Wednesday, December 13 (9:30am-12pm): Law for Non Profits presents – The New Societies Act: What You Need to Know – Vancouver, at BC Alliance for Arts + Culture 100-938 Howe Street, Vancouver. Fee is $50. If you are a registered non-profit society delivering community social social services within the geographical boundaries of the City of Vancouver, you may be eligible to receive a bursary to assist you with all or part of the workshop registration fee. Get more information here.